I photographed Jennifer and David’s wedding celebration back in April and thanks to a whole lot of rainy days in New York City we didn’t get around to their portrait session till July. 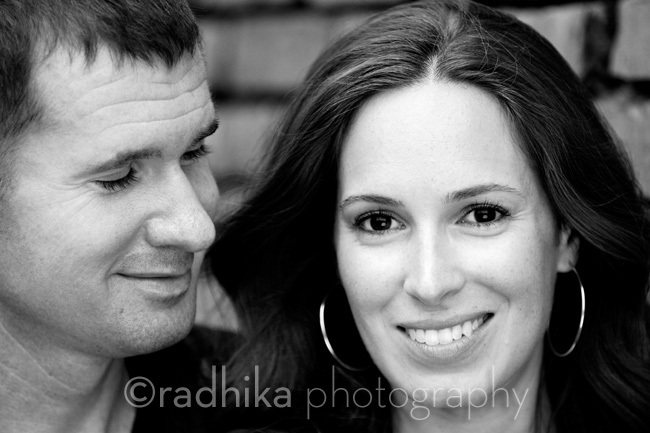 They wanted to have some fun pictures of the two of them on the cobblestone streets of their neighborhood, Tribeca, as well as on the rooftop of their apartment building. 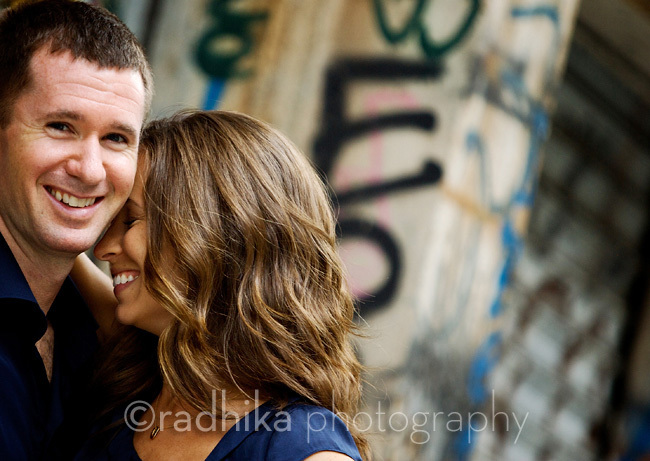 When Nellie and I talked about her upcoming portrait session with her fiance, Jim, she expressed concerns about how awkward they might feel posing for the camera. I kept reassuring her that I always make it a fun and relaxed shoot even if I have to tell bad jokes to make them laugh! After discussing several locations we settled on the Brooklyn neighborhood of DUMBO. 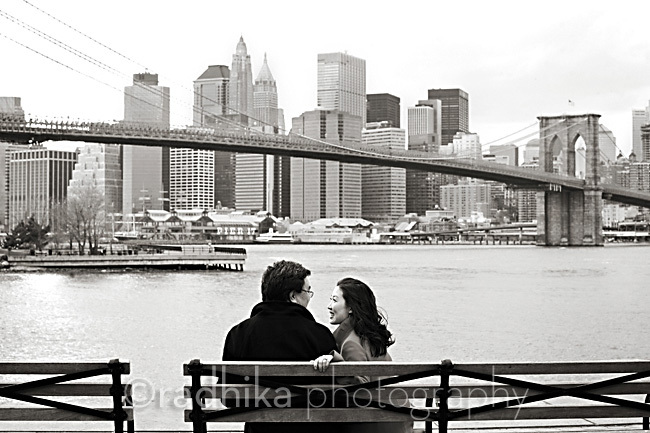 DUMBO is one of my favorite places for portraits both for the great views of the Brooklyn Bridge and the cobblestone urban street scenes. They ended up having a lot of fun posing for the photos. We were having such a great time that once we got done we headed for pizza and beer at the famous Grimaldi’s pizza place next to the Brooklyn Bridge. Lucky for us there wasn’t the usual long line out front.